Blue Texel sheep are a color variant of the normally white Texel sheep. Blue Texel sheep come from white Texels who carry the color factor "blue" with them. This factor is a recessive factor. From a mating of two white Texels who both carry the factor for the blue color, there is a 25 percent chance blue lambs will be born while a mating between a Blue Texel and another Blue Texel always gives blue lambs. 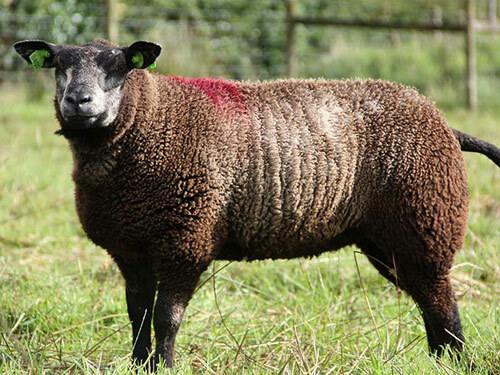 Texel sheep evolved as a result of crossbreeding the Dutch polder sheep with several English breeds, such as Leicester, Wensleydale, and Lincoln at the beginning of the 20th century. Today, as a result of efficient selection, the Texel breed has developed into a meat-type sheep of outstanding lean meat quality that has become popular throughout the world as a sire of crossbred slaughter lambs. When Texel lambs with a different color were originally born, most breeders were very ashamed of this. It was not until the late 70's that some breeders started with the breeding of this rare colored sheep: the Blue Texel.